This is a 1970 - 1981 Camaro oil light indicator tunnel. 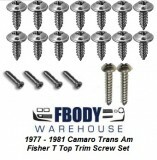 For use on all 70 - 81 Camaro clusters with U-14 factory full gauges! This is a Used GM unit in good shape. Ready to install!